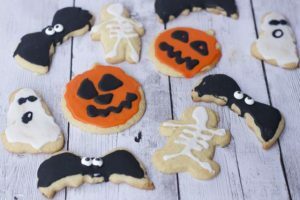 As if you don’t get enough Chocolate covered goodness on Halloween, we are creating some fun Easy Chocolate Snacks for Halloween Party that is super easy to make as a last minute party food. 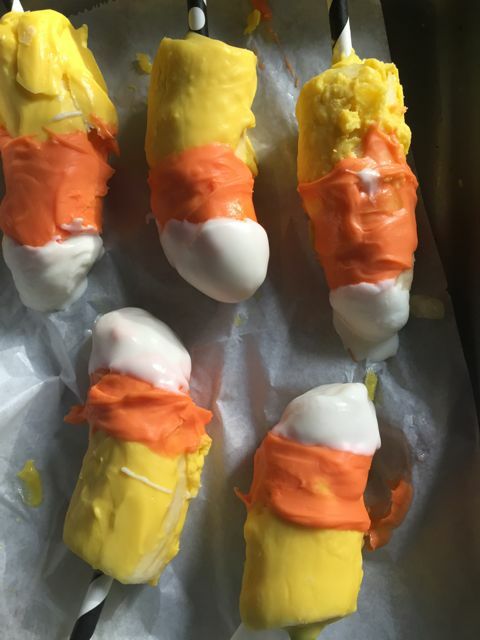 Since Candy Corn is iconic around Halloween especially we decided to create chocolate covered Bananas to look like large candy corn as well as had fun with some pretzel nuggets too. 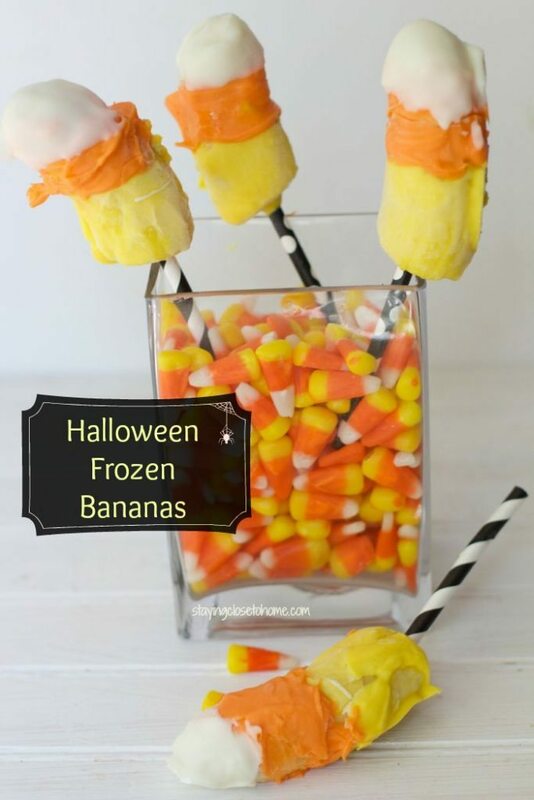 All you need are bananas, pretzel nuggets, yellow, orange and white chocolate discs and some sturdy straws or lollipops sticks for the bananas. 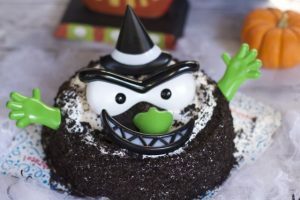 Be sure to check out the other fun Chocolate covered Halloween Food ideas we have created like these Chocolate Pretzel Monsters. 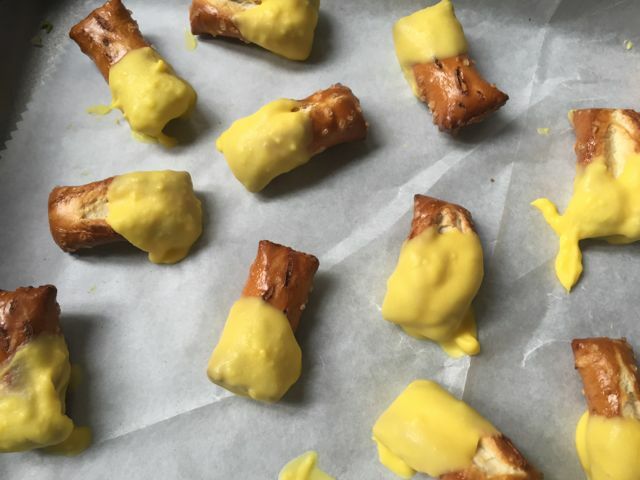 Place on parchment paper and place in the fridge until hardened. 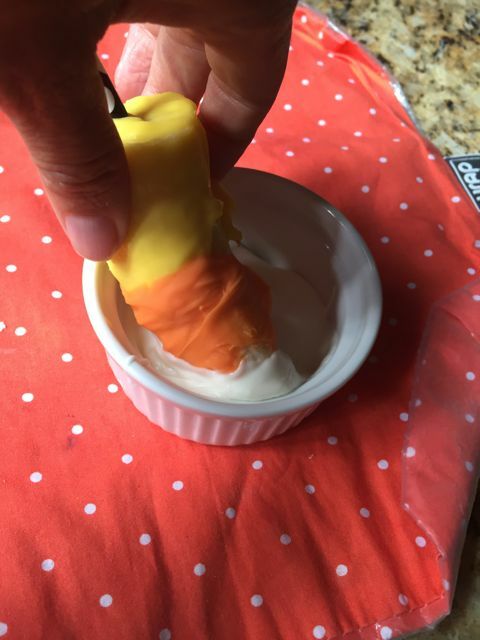 Melt your orange chocolate discs and we just used a spoon to cover the middle of the banana. Allow to harden again. 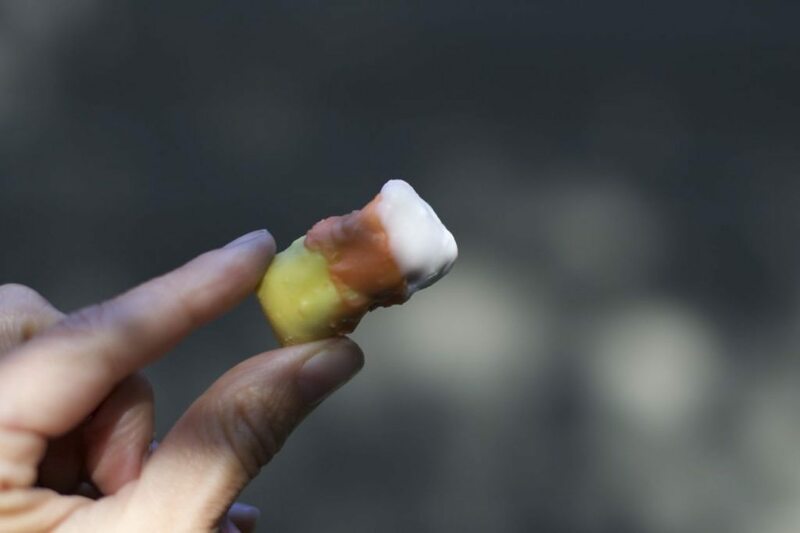 Finally melt the white chocolate discs and dip the tips of the banana into the chocolate. 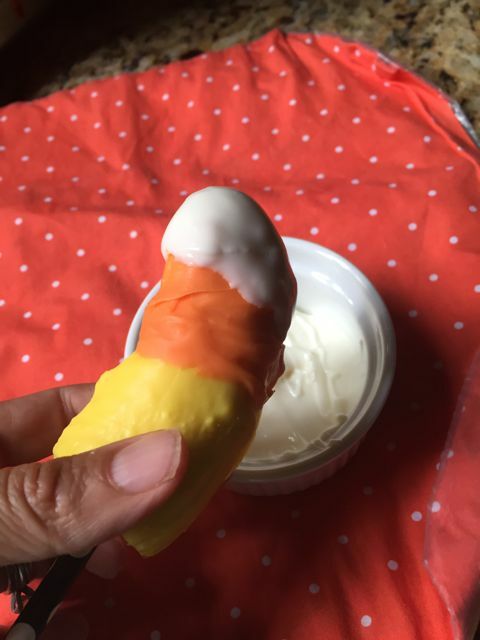 Being sure to cover the front and back of your banana. 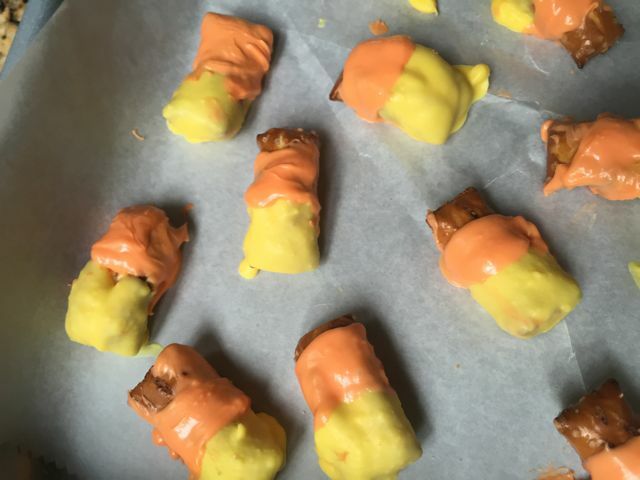 Since we had extra chocolate on hand, we decided to make some fun pretzel candy corn. Same procedure as described above. 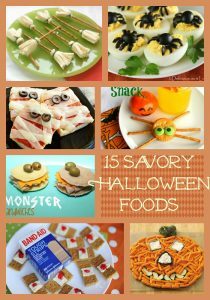 Place them in a bowl and your friends will be surprised what they are biting into. 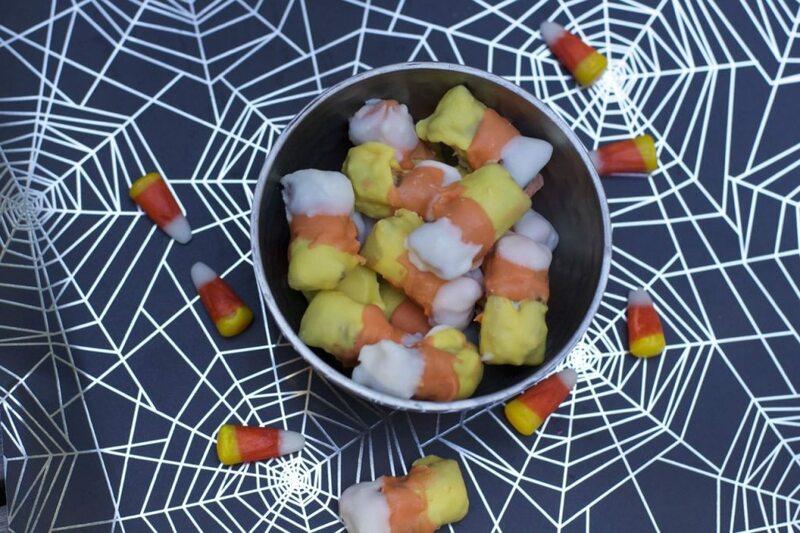 Thought these were a fun and festive Halloween Food idea that is not only easy but the pretzels can be made in bulk for a party. What do you think of these food ideas for Halloween party? 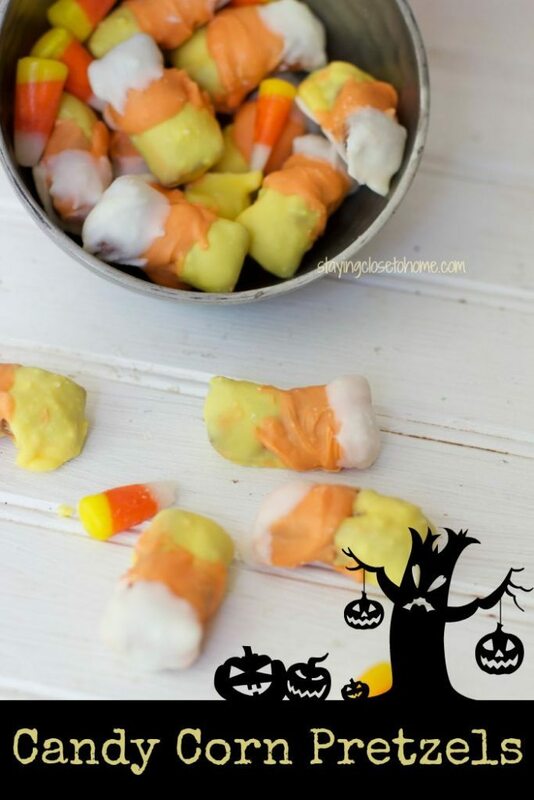 I will definitely try this recipe and I would even adding some variations to trick my friends into guessing what they are eating actually.